iDR-16 MixRack, Digital Mixer from Allen & Heath in the iDR series. At the NAMM next week Allen & Heath will be launching the iDR-16 MixRack and iLive-R72 rackmountable Control Surface from the iLive digital mixing series. 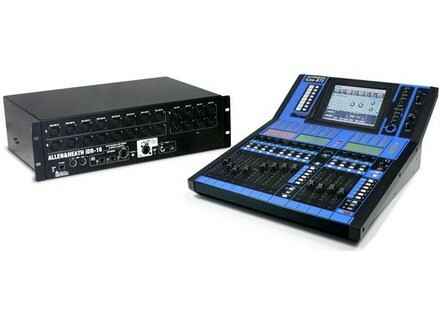 Allen & Heath has added two new models to the iLive digital mixing series, the iDR-16 3U MixRack and iLive-R72 rackmountable Control Surface, which together provide a space saving, lightweight digital live mixing system, bringing the same power, sonic performance and flexibility of the larger touring iLive systems to a significantly lower price point, the company promises. With these additions, the iLive Series now includes a total of 6 Surface and 5 MixRack variants, which can be mixed and matched in any combination, and share the same firmware, so that show files are transferable between systems via a USB key, according to A&H. Elysia mpressor The mpressor TDM version is out now, with a 25 % discount in January. Recording School Online: Mixing for Beginners RSO has developed a 6 Video set to teach you the basics of mixing. JDK Audio R22 Compressor JDK Audio, the brand developed and engineered by API, announced the fourth product in its line of signal processing equipment.